Avid scuba diver and journalist, Michael Cottman is sharing the remarkable discovery of a sunken ship that carried slaves to Europe and North/South America during the late 1600’s. The ship was the Henrietta Marie and in early 1700, it sank in a storm off the coast of Key West, Florida. Nothing was known about this ship until 1972 when underwater treasure hunter Moe Molinar finds the wreckage while looking for some treasures from another ship. 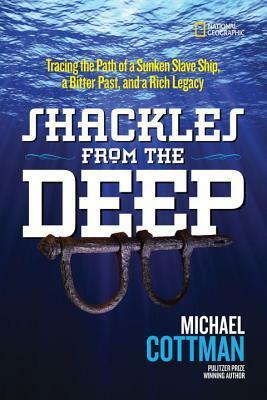 Hurricanes often stir up the sand around sunken treasures and this time, he came across something new….shackles, heavy manacles designed to handcuff slaves while traveling across the ocean to an unknown world. Ten years later, marine archaeologist, David Moore had heard of the shipwreck and began studying the slave trade. He made it a mission to find out more about this ship and the purpose of its journey. In 1983, during an underwater exploration, he came across the bell. During that time, every ship had a bell with the ship’s name on it to use as a watch bell that signaled changes to the crew on board of the ship. This find was a huge break because it helped them reveal the name of the ship, the Henrietta Marie. Cottman and Moore united to retrace the ship’s journey around the world. For Cottman, it is quite an emotional journey as an African American man, wondering if there could have been his own ancestors that perished on this journey. His most upsetting find wasn’t just finding the shackles made specifically to handcuff the slaves during the long journey across the ocean, but the numerous child-sized shackles. “Who would make child-sized shackles?”, Cottman wondered. While this is a non-fiction account of the fascinating finds related to this ship, Cottman willing shares his personal feelings while conducting this research. This reads as a narrative non-fiction and contains amazing photographs of both underwater images as well as the shackles and bell brought to the surface. He travels to several countries to access every piece of the story related to slavery trade during the 1600-1800’s. While reading this book, I was reminded of the story of Olaudah Equiano, a slave who came across the ocean on a ship much like the Henrietta Marie (maybe even one of the previous journeys) and landed in London. He was eventually freed by his owner after being allowed to trade and buy his freedom. I’ve often taught this story while subbing and I now have new knowledge to add to my lesson on the slave trade. Having never heard of this sunken ship, I was fascinated by this amazing find. The level of research Moore and Cottman conducted to understand what happened to the ship, who perished on this ship, and the history of shipping slaves across the world was extensive. If your child likes reading true historical stories, then this will be right up their alley. 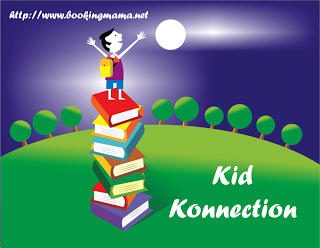 At just 120 pages, it isn’t overwhelming for younger readers. If the reader becomes interested in this topic, the back of the book includes other books and websites to find more information about slave ships. scuba diving, and marine archaeology. Maybe this book will inspire them to become a researcher some day. 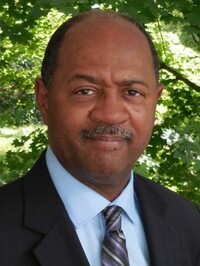 Michael H. Cottman, Pulitzer prize-winning journalist and author, is a former political reporter for the WashingtonPost. Cottman has appeared on National Public Radio’s (NPR) “Tell Me More” with Michel Martin and also the Oprah Winfrey Show in 2000 to discuss his (adult) book THE WRECK OF THE HENRIETTA MARIE. Cottman also serves as a special consultant to the National Oceanic Atmospheric Administration (NOAA) for a national, multimedia project, “Voyage to Discovery,” an education initiative that focuses on the African-American contribution to the maritime industry spanning 300 years and efforts to teach students of color about careers in marine biology and oceanography. For more info, check out his website, HERE. I've never heard of that ship either. I know a young man who's really into history and I bet he'd love this book. National Geographic books are so well done.